You have to choose YOU! Not only once, and not twice either, but over and over again. EVERYTHING starts with a choice and it has to start with you. I hear it all of the time, “But Mel, that is so selfish!” Is it though? Do you give yourself even half of the kindness, grace, love, etc., that you so willingly give to others? I’m guessing it is a teeny-tiny fraction, if any at all. Am I right? What is your definition of selfish? Yes, there I go again, asking you to re-define what that even means. Is it selfish to make yourself a priority in your own life? Is it selfish to choose your own happiness? Is it selfish to think about your feelings? I’ll leave you to answer these questions for yourself. You are the driver of your life. Your one life. It really is as simple as choosing yourself, over and over again. Want to know the best part? By you doing so, you actually enhance the lives of those you come in contact with and by prioritizing YOU, everyone around you benefits. True story. YOU matter. YOU are worthy. YOU are enough. Choose yourself – your health, your happiness, your wellbeing. Watch the magic that unfolds when you make this simple choice, over and over again. I said it’s a simple choice, but it’s not always easy, because it’s not what you are used to doing. It can be uncomfortable, but it doesn’t have to be hard. 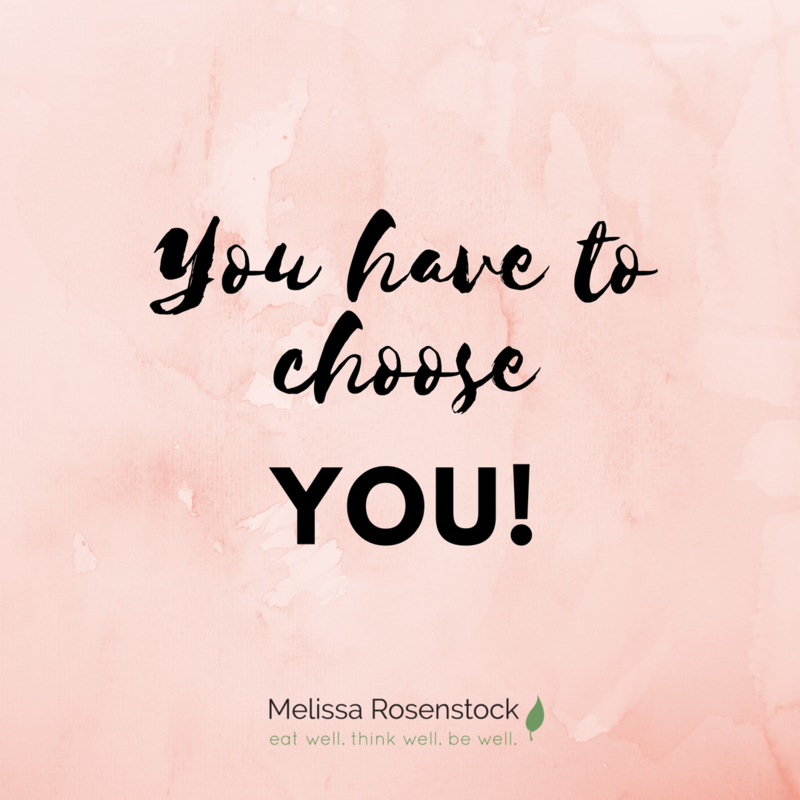 One way you choose yourself is by deciding you don’t need to do this alone and asking for support – whether that is from a spouse, a friend, or perhaps a coach (Hello, here I am! ), who can guide you and hold you accountable. If you have been thinking about coaching with me, then don’t delay, as I will be raising my prices come September. Get in now before the price goes up! Schedule a complimentary discovery call to see if we would be a good fit to work together. It is a no pressure process…it all starts with a choice though! So, tell me, will you choose YOU?